Installed the new crankshaft position sensor and car runs great all the way to redline. 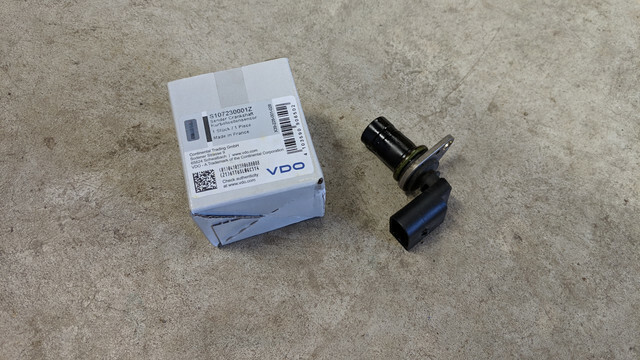 ok so I was wrong, that crankshaft sensor did not fix the issue. After the car sat all winter in storage, I decided to also replace the headers. My ebay headers were 10 years old and had 100k miles on them, and I suspect I had a slight exhaust leak. Desperate, I replaced them with bimmerbrakes gen 3 headers, but that did not fix my misfire issue either. Last edited by rkneeshaw; 04-14-2019 at 02:58 PM. Maybe it's time to replace both engine wiring harness and ms45 ecu itself?